Code Camp - What is Coding? Let’s start by saying that coding is not new - but it is becoming more relevant in your life, every single day at an exponential rate. In short, coding is simply telling a computer what to do by providing a series of step-by-step instructions, and it’s how we create software, apps and websites - all of which power the digital world we live in. In today’s world knowing how to code is like having a superpower - many people have great ideas, very few can turn those ideas into reality. These incredible people who code (which is an incredibly sought after profession) are often referred to as coders, developers, programmers, computer scientists, software engineers… or even hackers (both the brilliant who do good, and yes, like the movies, unfortunately there are those people who do evil too). 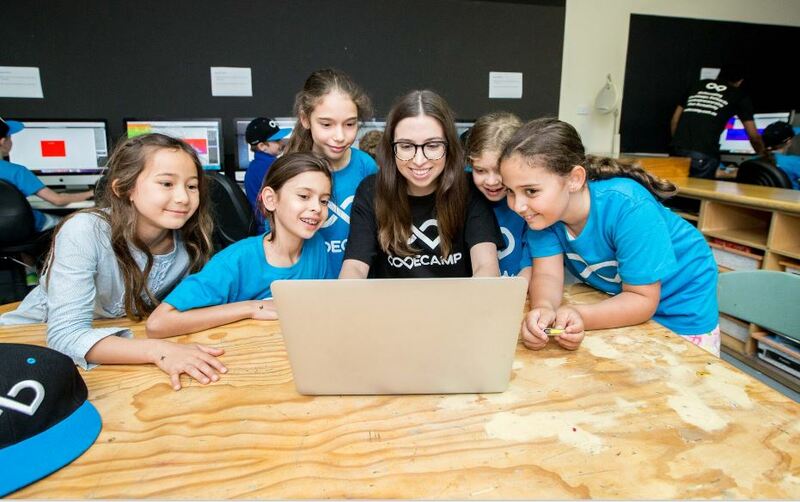 Coding is a superpower which is available to everyone; boys, girls, men and women. 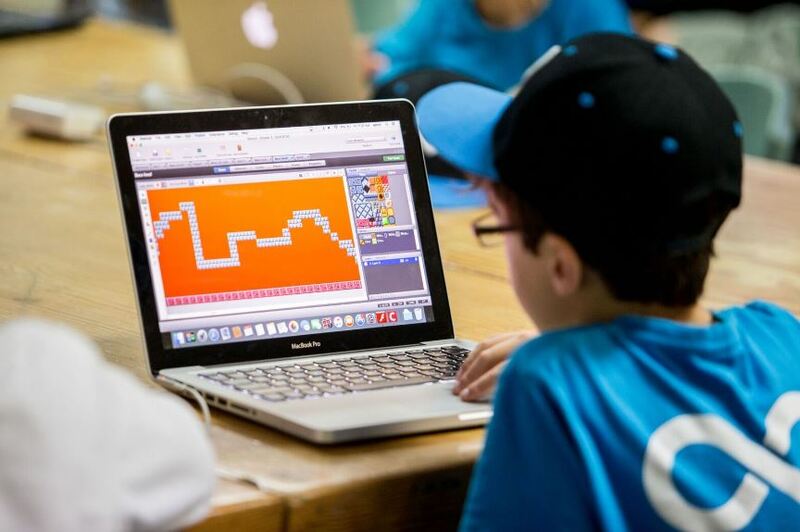 Coding is fun, and involves logic, problem solving, computational thinking, psychology and a lot of design and creativity too - and almost everything you touch today has been coded; from the computers powering your car, to your iPhone, your computer, microwave, or the buzzer to access your apartment block. On TV or in the movies you have likely seen ‘coders’ typing green text on a black screen (like the below), and at places like Code Camp you’ll see that kids start off with drag and drop coding. Here is the secret - the logic behind the drag and drop and the green lines of text is exactly the same. They both compile into binary code (1s and 0s) for the computer to understand! Yes, absolutely. Teaching students to code via drag and drop allows us to focus on the logic without slowing down due to syntactical errors (i.e. we automate a few of the intricate pieces - semicolons, brackets - so our students can continue moving forward with the logic and learn more and more). Google search: To run a Google search seems like a simple matter of typing a question, but the developers working for Google have written over 2 billion lines of code to power their search, Gmail, Google Maps and all other accompanying products. And even your old-school traffic lights. While there is already an incredible amount of code happening behind the scenes keeping traffic flowing, a Korean firm is taking traffic lights to the next level - they’re building a traffic lights network that will talk to your car through your navigation system, helping you avoid nearby red lights and let you know how fast you need to travel to get through traffic. It’s unlikely you’ll become Batman, Wonder Woman or Superman (sorry! ), so give coding a try and start your very own journey today to having a real superpower in much need all over the world.